Dr. Richard E. Selser, Jr. is a Board Certified ophthalmologist and ophthalmic surgeon practicing at Ohio Eye Associates since 2006. Previously, Dr. Selser practiced at the Ochsner Clinic Foundation in New Orleans, where he was Associate Chairman of the Department of Ophthalmology. Dr. Selser is a native of Baton Rouge, Louisiana. 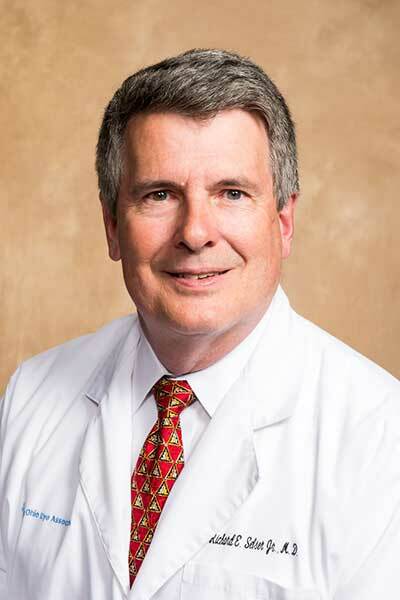 He received his medical degree from the Louisiana State University School of Medicine in 1981, and completed his internship and residency in ophthalmology at Alton Ochsner Medical Foundation. Dr. Selser also completed a fellowship in Cornea and External Disease at the University of Michigan. His specialty interests include cataract surgery,specialty implants, refractive lens exchange surgery, LASIK, corneal transplantation, DSAEK, and glaucoma therapy. Dr. Selser was named one of “America’s Top Ophthalmologists” by the Consumer Research Council of America. He has also been awarded “Best Doctors in America” distinction every year since 2009.